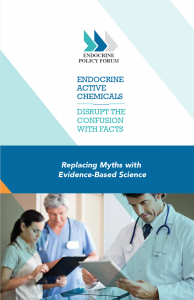 Clinicians and their patients are not immune to the confusion caused by some still-unproven claims about the health effects of common chemicals on the endocrine system. Below are 10 common questions from clinicians about EDCs. They are intended to help you form a clear opinion of your own when it comes to this important health issue. Some researchers have spent more than two decades conducting exploratory studies and testing several hypotheses about the effects of certain chemicals on the endocrine system. Despite a lack of clear evidence to date, research in this field continues to be funded, keeping the speculation, hypotheses, and concerns of 20 years ago on the minds of clinicians and their patients today. If you or your patients are having difficulty separating the latest data from speculation when it comes to endocrine disrupting chemicals, you’re not alone. According to a recent survey of medical professionals, 84 percent of polled MDs agree that the available information on “endocrine disrupting chemicals” (EDCs) causes confusion among clinicians and patients. Sixty percent of all physicians polled say their patients have expressed at least some level of concern about the health effects from exposure to everyday chemicals. While concerns about endocrine active chemicals are understandable, clinicians can help encourage patients to give greater attention to established health risks and the steps that they can take to lower the risk of disease. 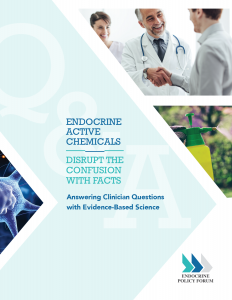 Before they can properly guide their patients, however, clinicians are tasked with weeding out unsupported claims on endocrine active chemicals, and recognizing proven, reproduced science when they see it. #1: Is there an official clinical definition of endocrine disrupting chemicals (EDCs)? Yes. An endocrine disruptor is an exogenous substance or mixture that alters function of the endocrine system and consequently causes adverse health effects in an intact organism, or its progeny, or (sub)populations. This is the globally-accepted definition established by the World Health Organization’s International Programme on Chemical Safety. Both U.S. federal and European Union (E.U.) regulatory authorities use this definition in their efforts to screen, evaluate and test chemicals for endocrine activity and endocrine disruption potential. The two-part definition requires that a chemical substance both 1) alter the function of the endocrine system (endocrine activity); and 2) cause an adverse health affect in humans or wildlife, as a consequence of that alteration. #2: Is there one authoritative list of endocrine disruptors that I can refer to? As of this writing, no authoritative list of EDCs exists. Many lists which are in circulation actually do not use the globally accepted WHO/IPCS definition of an EDC; employ the best available science; or consider factors like exposure or potency. While some lists can serve important regulatory functions such as prioritizing chemicals for evaluation, others can be created by virtually anyone without a scientific basis – and even deliberately misused and mischaracterized as definitive science on EDCs, or as definitive classifications of EDCs. United Nations Environment (UNE) commissioned the International Panel on Chemical Pollution (IPCP) to research and identify every “list of EDCs” that had been published to date – including from governments, private groups, and others – and compiled them into a single database. The project found 24 self-identified “lists of EDCs,” many of which were not created independently of one another – meaning, some lists were based on other lists rather than concrete scientific evidence. An in-depth review and critique of the lists (e.g., SIN List, TEDX List) shows that they fail to meet specific criteria that would indicate whether they were scientifically credible. #3: Why make a distinction between endocrine activity and disruption? Endocrine active chemicals are the substances that “alter the function of the endocrine system.” They do not necessarily cause adverse health effects in humans or wildlife, but over time the public has started referring to them as “endocrine disruptors.” This is an inappropriate and often confusing misinterpretation and misuse of the WHO-IPCS definition. The vast majority of the endocrine active substances that scientists have studied to date have not been demonstrated to cause adverse health effects at typical exposures as a consequence of endocrine activity, and so are not endocrine disruptors by the WHO-IPCS definition. Endocrine disrupting chemicals (EDCs) cause adverse effects by an endocrine mode of action. Endocrine active chemicals (EACs) can modulate endocrine function, but may not have adverse effects. Any potential that an EAC might have for producing an adverse effect, whether by virtue of its endocrine activity or from another mode of action, can be avoided by maintaining safe levels of exposure. This short, educational video on EDCs is intended for a lay audience. Clinicians have found it helpful in explaining EDCs in simple terms to their patients. #4: Can safe levels of exposure exist for endocrine active chemicals? Yes. Endocrine pharmacology and medical toxicology establish that safe levels of exposure exist for endocrine active chemicals, both natural and man-made. A safe level of exposure is the amount and frequency with which people can be exposed to a potentially hazardous substance without experiencing adverse health effects. Some exposures to endocrine active chemicals will produce no response at all, while others may elicit transient (temporary) responses to which the body can naturally adjust and maintain its normal function. Regardless of life-stage, there are levels and durations of exposure to endocrine active chemicals that are within the range determined to be safe. Risk is the probability of a harm arising from a particular exposure to a chemical substance, under specific conditions. Hazard refers to the type of harm that a chemical may cause under some conditions. In many cases, those conditions may not even exist in the environment in which humans or animals live. Dose is the amount of substance that enters the body or contacts sensitive tissues. Dose response refers to a determination of the dose at which a particular response will occur in a specific test system. Exposure describes the concentration, duration, timing and frequency with which a chemical substance comes into contact with a person, group of people or the environment. A safe exposure level refers to the timing, amount, frequency, and duration with which a person can be exposed to a potential hazard without experiencing an adverse health effect. #5: Is there a link between exposure to EACs or suspected EDCs and adverse health effects (like cancer, reproductive diseases and disorders, neurobehavioral deficits and disorders, obesity, and diabetes)? Associations between the incidence of certain human diseases and exposure to chemicals suspected as endocrine disruptors have been raised in some reports and activist policy statements. However, many scientists have found the evidence to be weak, inconsistent, and often lacking coherence and biological plausibility. Frequently, the reported links are to chemicals that are already banned by regulatory agencies or have been voluntarily withdrawn from the marketplace by industry, which renders many of the health allegations counterproductive from a regulatory standpoint. Some observational studies of humans with low level exposures to chemicals, referred to as epidemiological studies, have suggested potential links with certain human diseases, but taken as a whole the evidence is weak, inconsistent and likely to be confounded by other factors. Currently, it does not meet the standard for proving cause and effect. As a consequence, the alleged associations remain speculative, and the adverse health outcomes are likely to result from a variety of factors. #6: Is the only effect that endocrine active chemicals can have on our bodies an adverse one, or is there a ‘safe’ level of endocrine activity? The endocrine system’s response to a chemical can have either a beneficial, adverse or neutral effect. The endocrine system naturally responds to exposure from our environment, both chemical and physical. For example, a change in temperature, food or daylight can affect the level of hormones circulating in our body. Endocrine active chemicals include natural substances in coffee and soy, and healthy oils in salad dressings and other foods. How a chemical interacts with the endocrine system depends on a variety of factors, including the type and duration of the exposure to the chemical; frequency of exposure; potency of the chemical substance; and ways in which the body absorbs and eliminates the substance. It’s important for clinicians and patients to know that everyday products are designed to be safe when they are used as intended. To stay within acceptable ranges of exposure, consumers should read product labels closely and follow directions carefully. The primary focus should be on avoiding over-exposures so that potential health risks can be avoided. Sunlight exposure stimulates our skin to produce Vitamin D, which is converted to the active hormone calcitriol by the liver and kidneys. Excess Vitamin D is stored in fat and released into the blood at times of low sunlight exposure. It is critical for absorption and regulation of calcium and phosphorus and for healthy organ and bone function. Plant-based soy phytoestrogens found in many foods have the potential to interact with the estrogen receptor. But scientific studies of large populations of healthy women have shown either no association between soy and breast cancer, or a protective association, meaning that women who consumed higher levels of soy had less breast cancer. Steroidal estrogens such as those contained in the birth control pill have the potential to increase the frequency with which wild freshwater fish have altered sexual organs. Research in the UK has shown that when sewage discharge treatment has been insufficient to remove these estrogen contaminants, the reproductive tract of wild populations of male fish can be affected. #7: Does it matter how potent the substances are? Yes, potency is critical. The endocrine system distinguishes high-potency hormones that convey vital biological signals from other chemicals occurring naturally in the body that interact with it inconsequentially due to their low potency. The endocrine system also responds to high potency chemicals which can alter its functional state through strong interactions that mimic or interfere with hormone action. It does not respond to low potency chemicals, which interact too weakly to alter its functional state. #8: What about the dose of exposure to the chemicals? Can exposure to lower doses of chemicals actually be more harmful than higher doses? This question relates to what has been referred to as the “non-monotonic, low-dose hypothesis” – the idea that the slope of the dose-response curve for some chemicals changes direction at low doses. Although this non-monotonic, low-dose hypothesis is often discussed in relation to endocrine-related science, scientists at regulatory agencies across the globe, including the EPA and European Food Safety Authority, have argued that the hypothesis could, in theory, apply to all chemicals, regardless of the mechanism by which they cause toxicity. Some of those same regulatory agencies also have conducted rigorous reviews and have been unable to validate the non-monotonic, low-dose hypothesis using reproducible, relevant testing. This lack of validation is not surprising, since the hypothesis runs contrary to the well-established principle of dose-response relationships. In other words, “the dose makes the poison; dose differentiates a poison from a remedy.” This principle is the cornerstone of drug development in modern pharmacology as well as safety assessment in modern toxicology. 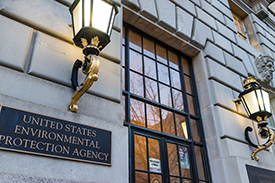 Furthermore, EPA led a work group of scientific experts that reviewed various studies, and the conclusion of the group’s draft report affirms what mainstream scientists have said for years: the purported scientific evidence for the nonmonotonic, low-dose hypothesis, even as it might apply to endocrine active chemicals, is, at best, very weak. #9: Is it true that endocrine disrupting chemicals are completely unregulated? No. The notion that chemicals are “completely unregulated” is false. These claims can be traced to alarmist media reports and deliberate misinformation campaigns on the part of some activist groups. In fact, chemicals are being screened for endocrine effects. As just one example, the U.S. EPA uses a scientifically validated screening process to identify chemicals that interact with the endocrine system (endocrine active chemicals). EPA requires validated scientific tests to be conducted to evaluate adverse health effects that occur when a chemical disrupts the endocrine system (endocrine disruptors) under real life conditions. EPA can regulate the use of those chemicals to prevent adverse health effects. Products are designed to be safe for their intended uses. To limit exposure levels, everyone should read product labels and follow directions carefully. Some low-level exposures will not lead to endocrine activity at all, while others may elicit transient responses to which the body can naturally adjust and maintain normal functioning. The primary focus should be on limiting over-exposures so that potential health risks are avoided. #10: What are government regulators doing to make sure people are protected? For decades, U.S. and E.U. regulatory authorities have had programs in place to evaluate chemicals to determine if they are capable of causing adverse health effects; characterize dose-response relationships; and establish safe dose levels to guide human exposure limits. Regulatory agencies have never required knowledge of the mechanism by which a chemical causes adverse effects, such as endocrine activity, to take necessary action to restrict or ban uses of that chemical to mitigate exposures and adverse health effects. Recent scientific and policy developments in the U.S. like the Lautenberg Chemical Safety for the 21st Century Act and the Registration, Evaluation and Authorization of Chemicals (REACH) program in the E.U. have strengthened national regulatory programs. In the U.S., the Lautenberg Act gives EPA the authority to require product labels, restrict uses, or phase out chemicals that may pose an unacceptable risk. 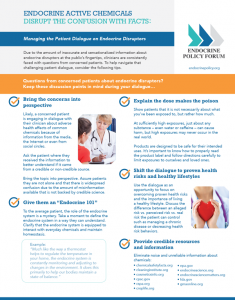 Managing the patient dialogue on endocrine disruptors: tip sheet for clinicians. 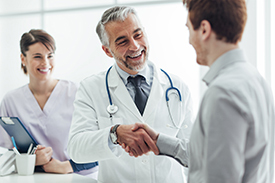 Answering common questions with evidence-based science: faq for clinicians. Replacing myths with evidence-based science: pamphlet for clinicians and patients.